So this week during my session with the Christian counselor I'm seeing, he recommended a book to me. 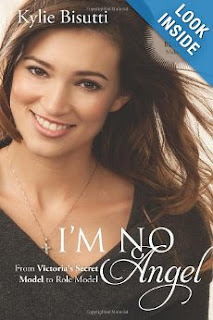 It's called, "I'm No Angel: From Victoria's Secret Model to Role Model" by Kylie Bisutti: the 2009 winner of the televised "Victoria's Secret Model Search" who quit modeling and turned down the fame and fortune in order to dedicate her life to Christ and to sharing a message of modesty and inner beauty with young girls. I actually remember watching the televised competition, but I had no idea that she chose this path for her life. My counselor actually recommended that I read the book with my fourteen year old sister, Faith, and after doing some research, I must say I'm really excited about it! I'm even going to invite other teen girls and young mothers in my hometown to read it with us! We are planning to meet at my house one night a week to talk about it, and the topics I'm sure it will bring up. I think this is a great book to read with young girls like Faith, and my cousin, Jordan, who are right in the middle of all the struggles that teen girls face everyday! However, more than that, I feel like this book has a positive message for all young women, especially those of us who have teenage girls that look up to us to set an example for them. 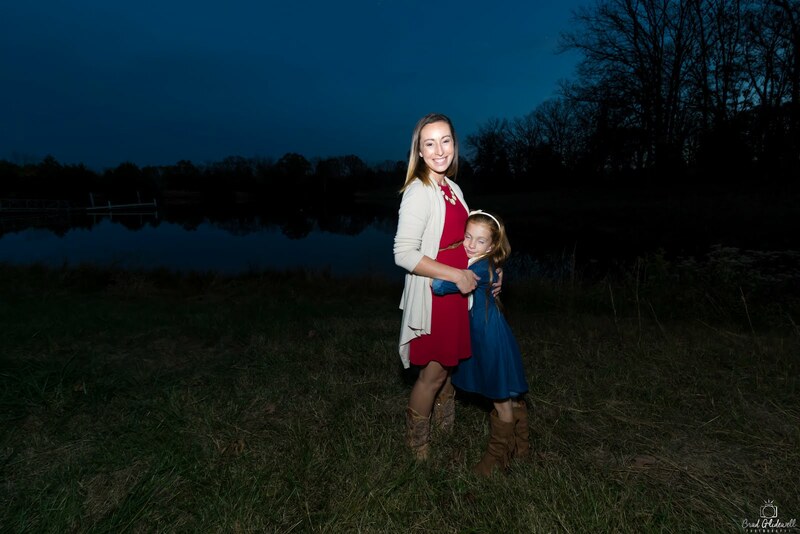 God knows, I haven't been the example to the young women in my life that I should,and it's definitely time for me to start stepping up to the plate. As we all know, being a woman in this world is hard. We are bombarded everyday by the media and a world view that tells us we are not good enough, pretty enough, thin enough, or smart enough, and unfortunately, it's only getting worse. I cringe at the world in which my four year old daughter is going to grow up. A world where the media, Victoria's Secret, and Miley Cyrus are telling her that her body is the only way she will ever get attention. That her entire self worth is based only on her outward beauty. Trust me, I know how easy it is to fall into this trap...to buy into the lies...to be made to feel like your body and your pretty face are the only things anyone will ever love about you. And, I do not want that for my daughter, my sister, or my cousin. I hope this book will be a light amid the darkness. I hope we are able to read this girl's amazing story and go forward with the hope that there are positive role models for women out there. I think this young lady is one of them. So, in addition to doing a Bible study over the book at my house, I am hoping to talk about the book here on my blog as we go through it. I would encourage any young woman/mothers who follow my blog and who might be interested in this book to get it and read along with us! You can click on the picture or the above title, and it will take you to the link where you can purchase the book. I know, right?! You're welcome. We are hoping to start on the 25th of this month! So, put down your "50 Shades" and read something encouraging for a change! I know that for me personally, I want to start filling my heart and mind with the positive and Godly things I need to get through this leg of my journey, and I know I could use a refresher on modesty and the importance of inner beauty. Anybody else with me? !